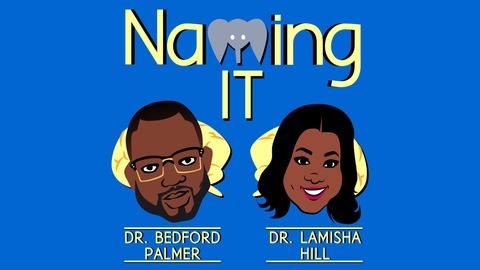 Naming It features Bay Area Psychologists, Dr. Bedford Palmer & Dr. LaMisha Hill, who explore the intersections of Social Justice, Psychology, & Blackness. They introduce aspects of counseling psychology that are not commonly thought of, and engage listeners in a conversation about pop-culture and current events in a way that delves deeper, and focuses on how it all impacts on our lives. The Mission of Naming It is to call out the elephant in the room, and to call in the voices of social justice that are normally muted. 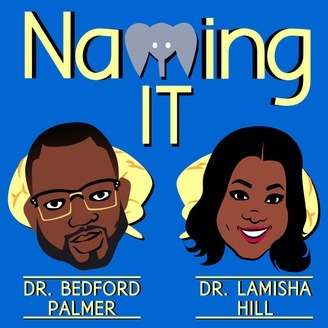 Key Words: Black, Psychology, Social Justice, Race, Culture, Politics Become a supporter of this podcast: https://anchor.fm/namingit/support. Bedford and LaMisha give a shout out to the DND (Dungeons & Dragons) community before shifting gears and talking about “What’s Going On” with the recent arson committed against Black churches. They explain how these attacks are part of an ongoing effort to traumatize Black communities in the name of white supremacy. The hosts go on to discuss some to the social justice problems with the Trump tax code and give another 2020 campaign update. During the #RealTalk segment, LaMisha conducts an interview with Don Woodson, Director of the UCSF Center for Science Education & Outreach and talks about the recent news around wealthy people buying their children’s way into college, the dividing of POC with misguided affirmative action lawsuits, and tips for getting into college.